Contact / bookings: djlatam@gmail.com ---------------------------------- DJ Latam first played music at a party in 2004 in circumstances rather unexpected and unplanned, going with the flow in a synchronistic situation. Back then he was totally in love with goa psytrance, enjoying also very much progressive house & trance which were rocking the clubs at the time. After a few years of practicing, performing and learning about what DJing means, encouraged by things going constantly up he decided to give up all other business and commit to music and everything related. Started to explore and experiment and went gradually deeper into other sub-genres of electronica, playing in parallel for some years psy, trance, techno, electro, house or chill-out, in various forms. 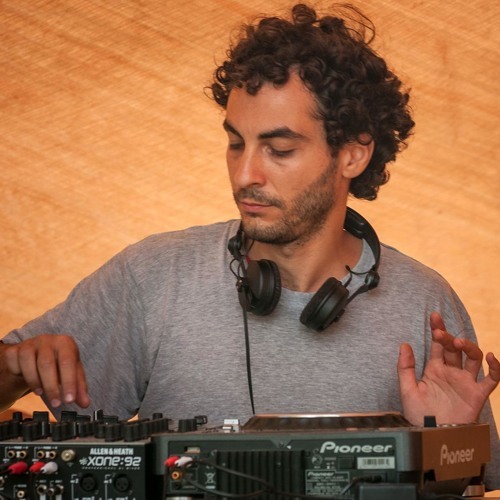 Now his focus is on the groovy hypnotic side of psychedelic trance, with an approach that can vary depending on the party profile, audience, location, line-up or hour between a harder and a more atmospheric sound. BPM is more often than not around 140-148, but can go slower. From time to time he does the warm-up for some big artist or special guest, being good at building a bridge between different styles and tempos which is something he really enjoys doing. Also, every now and then you can hear him at the alternative stage of various festivals or multicultural events mixing down tempo in an eclectic chill fashion. In addition, he has an alter-ego called Fractaliceanu for darker, forest, more experimental psytrance, and an avatar named Blooni with whom he visits once in a while the deep minimalistic techno area. Besides DJing, Latam is involved in organizing and promoting events through Thrancians organization that he manages, plus Unda and Spacesheep associations, being a co-organizer of Waha and Rebirth festivals which featured artists like Juno Reactor, Astral Projection, Psykovsky, Kindzadza, Sensient, Son Kite, Ticon, X-Dream, Etnica & Pleiadians, Cosmosis, Banco De Gaia, Fungus Funk, Atriohm, Derango, etc, and partner of a few other crews and projects. He also hosted a weekly show called Oscillator on Radio Deea, the first Romanian radio fully dedicated to electronic dance music. Over the years he performed at many events, from big festivals to small underground gatherings or private parties, in numerous locations and venues across Europe in countries like England, Portugal, Austria, Netherlands, Hungary, Italy, Denmark, Serbia, Croatia, Czech Republic, Norway, Malta, Ukraine, Macedonia, Bulgaria, Montenegro, Republic of Moldova, Crimea, Romania.